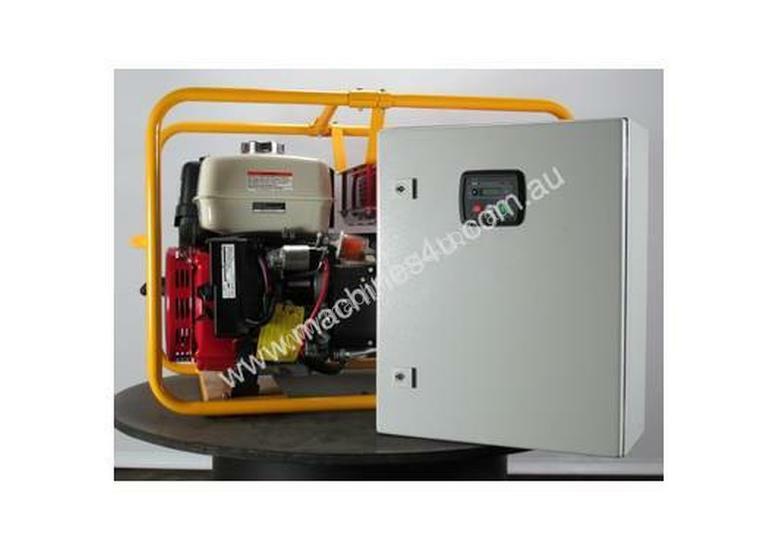 Built and tested in Australia, by one of Australia's leading manufacturer of portable generator sets; Powerlite. 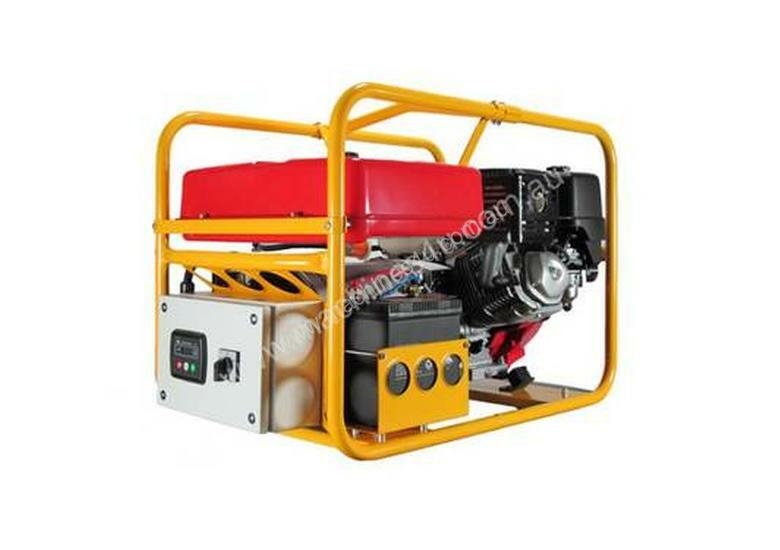 The generator is powered by a reliable Honda IGX390 4-stroke engine and delivers a max output of 8kVA and a continuous output of 6800 watts. This tough model is a popular generator for automatic back up to mains power;PRIMARY APPLICATION FOR THIS GENERATOR:Backup to Mains Power: For backup power to your home/building when there is a mains power blackout, this generator requires an Automatic Mains Failure (AMF) Panel - supplied with generator package. This panel is also referred to as an 'Automatic Transfer Switch'. This AMF detects when there is a mains power failure, and signals to the generator to automatically start up to restore power to your home/building. Conversely, as soon as the AMF detects mains power returns, it stops the generator. A qualified electrician is required to undertake the install and connection.The generator is designed to be able to integrate either of the above accessories depending on your specific automatic backup requirement. Other optional extras include AVR (automatic voltage regulation), Wheel & Handle Kit, Weatherproof Outlets + Earth Leakage Protection. See Accessories List above.This model now comes with a larger fuel tank for longer running capacity: 24.5 litre fuel tank for almost 11 hours running time. This model also comes with 2 x 15 Amp outlets so it can also be used as a standard generator to run your tools and equipment up to 8kVA. 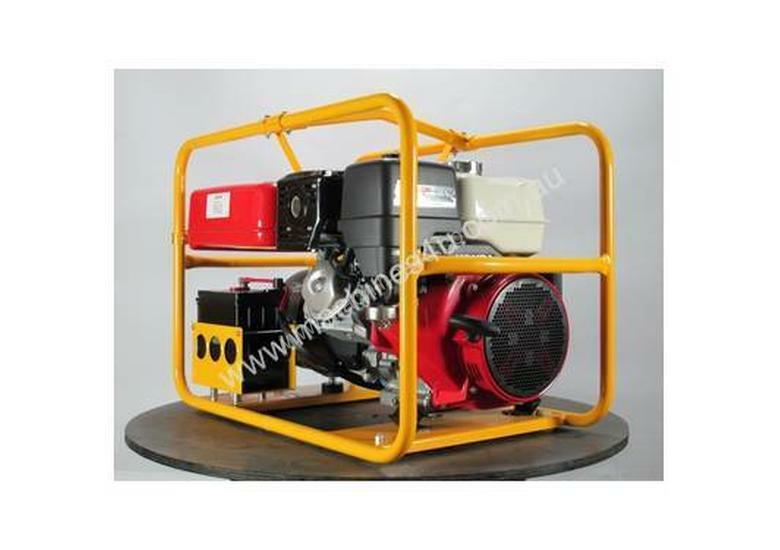 Low oil protection is fitted and the unit is built in a tough fully welded frame complete with heavy duty anti-vibration mounts for smooth operation. The 3-year Honda engine warranty and 2 year Powerlite generator warranty is backed by a national service network has your maintenance needs covered. This product is Honda Australia Approved - meaning that the Honda engine used in an Original Equipment Manufacturers (OEM) product, has been engine match tested by Honda Australia, is a genuine Honda engine and meets their strict quality and operational standards, and is backed by their national service agent network. The following table outlines the new extended warranty for the different Honda engine types:Model GX, GXV &GDPrivate 3 yearsCommercial 3 yearsModel Mini 4s (GX25, 35)PrivATE 3 yearsCommercial 3 yearsModel GC, GCVPrivate 2 yearsCommercial 90 daysModel GPPrivate 1 yearRRP: $5,579Save $580 (10.4%) off RRPFrequency50HzAlternator TypeMecc AlteEngineHonda IGX390Starting MethodElectricFuel Tank Capacity24.5LCont. Working Time10.5hrNoise 7m74Product Dimensions (mm) LxWxH760x500x540mmNet Weight (kg)85.0 KgOutlets2 x 15Amp outletsEngine Warranty3 year engine warrantyManufacturers Warranty2 year Generator warranty, 1 year Alternator warrantyNOTEThis is a portable air-cooled petrol generator designed for short term/standby applications. For prime/continuous power, a stationary water-cooled diesel generator is recommended.